Everyone has that one special author that means something extra special to them. Mine would be Beryl Kingston. When I had exhausted all the Judy Blume books and nothing else appealed in the kid’s section of John Menzies in 1994. My nana asked the sales assistant for a recommendation, I was a very young natured 15-year-old. The sales lady showed us to a book called Maggie’s Boy by Beryl Kingston. There at that moment started my love of all things, Beryl. For years I have spoken to friends about Maggie’s Boy and War Baby. I devoured the stories and I loved the more mature feeling moving from kids fiction to adults. Because there really wasn’t any young adult books back then. So imagine my delight last week when Agora Books emailed me to tell me that Beryl Kingston had a re-release. WHAT? Mind is blown, I nearly cried. 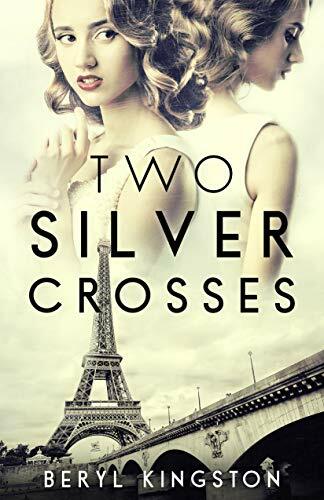 My copy of Two Silver Crosses arrived on Saturday. A really massive highlight of 2019 for me. I cannot wait to dive in. I will put all the information below and really if you haven’t yet had the honour to read Beryl Kingston’s work then don’t think just buy it. I know that the book will be filled with emotion and heart. Special mention to Peyton at Agora Books. Great big muckle thanks for reaching out with the invite to review. You have no idea what a big deal it was for me. Beryl Kingston is amazing and it makes me remember the times I sat with my nana and talked about the books. So Peyton, thank you. I’m so happy for you getting this by a favourite author. I love the cover of that one, very appealing. I think you would really enjoy her writing style. Wow! You really love Beryl Kingston! I have never heard of her but will go and check on her now. Thank you for the heads-up. I hope you enjoy her books as much as I do.